Housing production is increasing, innovative housing solutions are being explored and implemented, yet the immediate needs of our fellow Angelenos are NOT being met. As we face the current housing crisis our streets have become home for thousands of homeless individuals. Relationships, bonds and communities are formed on our sidewalks and freeway underpasses, along the banks of the LA river and the endless slivers and patches of public space throughout our city. These communities and individuals survive under dire conditions and without access to the basic needs and rights that any citizen should have. Join us for an in depth conversation with advocates, activists and experts working with our homeless population to explore what can be done NOW. How to implement change and improvements and how to achieve dignified living conditions for all Angelenos. Michael B. Lehrer, FAIA founded Lehrer Architects LA in his native Silverlake District of Los Angeles. His work, from the intimate to the monumental, is grounded in the idea that beauty is a rudiment of human dignity. He designs for community with a reverence for light and space. Delight is a matter of extreme gravitas in the work. Lehrer Architects LA has won over 125 major design and sustainability awards, including over 40 design awards from the national, state, and local chapters of The American Institute of Architects. The Downtown Homeless Drop-In Center (over 3 million visits in its 13-year run as a drop-in center), The Lehrer Architects Design Studio and the LA County Elections Operations Center have all won the Institute Honor Award from the American Institute of Architects, the top annual award for architecture in the United States. The Water and Life Museum in Hemet was the first LEED Platinum Museum in the world. He leads his practice with his partner, Nerin Kadribegovic AIA and Robert Sheinberg CAM, Director of Design and an extremely talented group of senior architects and designers. Lehrer Architects’ work has been widely published nationally and internationally and he is regularly called upon to comment about design matters in national and local broadcast media, print, panels and symposia to explain the public interest from the architect’s perspective. This includes Architectural Digest, Architectural Record, ARCHITECT, Business Week, Azure, Builder Magazine, Metropolitan Home, Dwell, Interior Design, NPR’s Weekend Edition, All Things Considered, KCRW’s Which Way L.A.?, The LA Times, The New York Times, The Chicago Tribune, Hong Kong’s avant garde Hinge Magazine, among others. Michael has lectured on his work at Stanford, Berkeley, University of Michigan, Woodbury University, the Dallas Architecture Forum, Dwell on Design, Governing Magazine/AARP, among others. He regularly sits on academic and professional AIA design juries around the country, including the AIA/NY Urban Design Awards Jury and the AIA Institute Honor Awards Jury for Architecture and he has also served on the Mayors Institute of City Design Team. Educated at Berkeley and Harvard after attending LAUSD public schools, Michael is Chairman Emeritus of the Alumni Council of the Harvard Graduate School of Design (GSD) and is Past President of Homeless Health Care Los Angeles. He has also served at GSD-Appointed Director of the Harvard Alumni Association Board. He is also a Past President of the American Institute of Architects, Los Angeles where he founded its annual, ongoing Legislative Day and he initiated the AIA/LA push to make GREAT STREETS a central initiative in our city. He was Vice Chairman of School Construction Bond Oversight Committee for over 5 years, overseeing (a now) $27 Billion repair and construction program for the LA Unified School District. He served on the Hollywood Planning and Design Review Board for for Council District 13 for 22 years. Michael has been an adjunct member of the faculty at the University of Southern California since 1986, teaching all levels of design studio from 1st Year through Master Thesis. He has taught several design studios focusing on senior housing. Prior to founding his practice, Mr. Lehrer worked at Frank O. Gehry and Associates and other design offices. He is married to Mia Lehrer, FASLA of studio-mla. They have three children: Benjamin (and Laura), Rebecca (and Neil), and Raphael, and grandchildren, Gabriel, Roxanna, and Clara. Mary Leslie is president of the Los Angeles Business Council (LABC), an advocacy and educational organization dedicated to serving local businesses while informing and impacting positive change at multiple layers of government. For more than 70 years, the LABC has been an influential link between business and government and has had a major impact on public policy issues related to education, housing and environmental sustainability. Under her leadership, the LABC has developed a national reputation as a catalyst for innovative policy in the fields of housing, transportation, renewable energy development, CleanTech and more. The LABC initiated and supported passage of Los Angeles’ first Green Building Ordinance and provided critical support for California’s multi-billion-dollar housing initiative, 1C. The LABC was responsible for helping qualify a billion-dollar city housing bond (Prop H) and creating the Los Angeles Unified School District’s Office of Civic Engagement. The LABC created the LABC Institute (LABCi) in 2010 and partnered with researchers at UCLA to develop a large-scale solar energy program for Los Angeles. The LABC and LABCi created and led the CLEAN LA Solar coalition, to advocate for a program, which incentivizes local businesses and residents to install solar panels, whose power is fed into the energy grid. Known as a “feed-in tariff,” the program provides locally generated clean energy, create thousands of local green jobs and be cost-effective for ratepayers. Implemented in 2013, the LABC has successfully supported the launch of the LADWP’s feed-in tariff program, which is now the largest rooftop solar buyback program in the United States. These advocacy efforts, together with the annual Mayoral Housing, Transportation and Jobs Summit, Sustainability Summit and Architectural Awards Luncheon, are among the LABC’s most significant projects. This fall at the Mayoral Housing, Transportation and Jobs Summit the Mayor announced a new affordable housing policy, advocated by the LABC. The Mayor’s affordable housing proposal reflects the priorities of LABC, pledging to build 100,000 new units by 2021. Ms. Leslie is also President of Leslie & Associates, a consulting firm that specializes in non-profit management, strategic planning and government affairs. Previously, Ms. Leslie served as Deputy Mayor for Economic Development under Los Angeles Mayor Richard Riordan, and was Deputy Director of the U.S. Small Business Administration, where she oversaw Northridge Earthquake relief funds for Los Angeles for SBA Director Erskine Bowles. Ms. Leslie also served as Executive Director of the California Economic Development Commission, overseeing policy development and trade missions for California business. She was President Bill Clinton’s California Finance Director during his successful 1992 campaign. Ms. Leslie received her Bachelor’s degree from the University of Santa Clara, holds a Master’s degree in Public Administration from the University of Southern California, and attended the Executive Management Program at the UCLA Anderson School of Management. She serves on the Los Angeles Conservation Corporation Board of Directors and served as a Commissioner on the Los Angeles Department of Water and Power Board and the Advisory Committees of L.A. Family Housing and the California Women’s Law Center. He served on the State Commission on Homeless Veterans, the State Commission on African American Males and Substance Abuse. He was a Los Angeles County Commissioner on the Narcotics and Dangerous Drugs Commission. He is a member of the Congressional Black Caucus Veterans Brain Trust. Mr. Neely served on the Downtown Strategic Plan Committee which provided the framework for the downtown Los Angeles’ renaissance in the 21st Century. He was also involved in issues where he improved the outcomes for many projects. He participated in the development and implementation of the first mobile HIV/AIDS testing van. He was the first to develop an outreach program to employ formerly homeless individuals to assist the United States Census Bureau to implement counting homeless persons in the 1990 census. He assisted the City of Los Angeles in organizing its homeless count in support of the City’s lawsuit against the Federal government in the mid 1990’s. He was member the Los Angeles County Welfare Reform Implementation Committee, and a member of the Prop. 36 Implementation Task Force. Mr. Neely was selected as a Hesselbein Fellow of the Peter Drucker Foundation (now Leader to Leader Institute). This Institute provides intensive training in leadership and management with some of the great thought leaders of our time including , Peter Drucker, Frances Hesselbein, Noel Tichy, Warren Bennis and Ken Blanchard. The Fellowship also included the opportunity to be mentored by a management expert. His mentor was Jim Collins, author of “Good to Great” and they worked extensively together and have maintained a great working relationship. Mr. Neely has served on numerous Advisory boards and Study groups as well as the Board of Directors of the California Association of Alcohol and Drug Program Executives. Mr. Neely retired in 2004. He is an active participant in many community projects, including serving on the Board of Directors of SAJE. He was the appointee of County Supervisor Mark Ridley-Thomas of the Second District to the Los Angeles Homeless Services Authority (LAHSA) Board of Commissions by Los Angeles. Currently he serves as a Commissioner on Los Angeles County Commission on Older Adults. Monica Nouwens is a fellow of the Rijksakademie in Amsterdam and attended California Institute of the Arts. Nouwens has photographed Los Angeles and Angelinos for more then twenty-five years. Nouwens is noted for intimate and provocative portraits amidst continuously synthetic landscapes of decadence and decay. Focus of her work is on social and economic issues of the marginal communities in our society. Nouwens has exhibited widely, including one-person shows at Photography Museum Amsterdam, Stedelijk Museum Bureau Amsterdam, Ron Mandos Gallery as well as underground spaces such as Pehrspace in Los Angeles. She participated in group shows at World Aids Day in Trafalgar Square, Netherlands Photography Museum Rotterdam and Annenberg Space for Photography Los Angeles as well as Her videos have been shown at the ‘The rejected Film Festival’ in Amsterdam. Nouwens work is included in the collection of Stedelijk Museum Amsterdam. In addition to her independent projects, her work is published in print media. She is a regular contributor to Volume magazine and her work has appeared in Rizzoli International Publications, Domus magazine, Aleim, V-magazine, Boundaries and Archis. She worked for clients such as Salvatore Ferragamo, Levi’s and Prada. Nouwens taught at University of California, Irvine, Southern California Institute of Architecture, California Institute of the Arts, Universidad de Monterrey, Mexico and Canadian Center for Architecture (CCA) in Montreal. Nouwens is the recipient of the Graham Foundation Advanced Studies in the Fine Arts Award, Mondrian Foundation and Amsterdam Foundation for the Arts. Kate Pickert is a journalist and assistant professor of journalism at Loyola Marymount University. Before she joined the LMU faculty in 2015, Kate was a staff writer for Time magazine where she covered national politics, health care and trends in modern American life. As the magazine’s lead health policy writer, Kate spent four years writing about federal health care reform, including the debate preceding passage of the Affordable Care Act in 2010, implementation of the law and the Supreme Court decision upholding the law in 2012. She has reported stories across America, from federally funded health care clinics in Houston, Texas to North Dakota’s only abortion clinic in Fargo. Kate wrote a variety of cover stories for Time on topics including parenting and abortion and was script editor of Time‘s 2011 Emmy-award winning oral history project marking the tenth anniversary of 9/11. Later, as a West Coast correspondent for Time, Kate investigated and wrote about issue important to California, including concealed weapons laws, the drought and Mayor Eric Garcetti. In addition to Time, Kate’s work has been published in New York magazine, Popular Science, Bon Appetit and other magazines and newspapers. She earned a master’s degree in 2003 from the Columbia University Graduate School of Journalism. At LMU, Kate teaches courses on investigative reporting, political journalism and digital media. Deeply invested in educating LMU journalism students about their community and issues that matter to Angelenos, she requires that her students report on stories exclusively off campus. Her students have written about murder trials in Los Angeles County Superior Court, homelessness on Skid Row, L.A.’s sprawling public transportation system, air pollution at the Port of Long Beach/Los Angeles and how Inglewood residents will be impacted by the new NFL stadium now under construction. She is currently writing a book about the cultural and scientific history of breast cancer in America, which will be published by Little, Brown in 2019. Roberto Sheinberg has practiced Architecture for over 20 years in Mexico and the US. Throughout his career he has focused on creating contemporary, inspiring and environmentally appropriate designs that enhance the communities which they serve. His diverse body of work includes institutional, commercial, planning projects and multi-family and single-family housing. As Director of Design at Lehrer Architects, Mr. Sheinberg is a critical member in establishing the direction of each project and ensuring its successful completion. Prior to Lehrer Architects, Mr. Sheinberg worked with Leddy Maytum Stacy Architects in San Francisco as Senior Associate. Before relocating to California, Mr. Sheinberg formed his on practice and worked in his native Mexico City for TEN Arquitectos with Enrique Norten. His work has received numerous local, state, national and international design awards and has been exhibited in Spain, Mexico, US, Japan, Finland and Brazil. He has been published extensively in the US, Mexico and Europe, in magazines such as Architectural Record, Interior Design, Dwell, Metropolitan Home, and Hauser and in books by Princeton Architectural Press, Monacelli Press and Rizzoli amongst others. Mr. Sheinberg’s recent projects include Jovenes At-risk Youth Housing, Caltech’s Keck Institute for Space Studies, Visitor Center at UCLA’s Botanical Garden, Masterplan and new Mausoleum at the Hollywood Forever Cemetery, and the Los Angeles–Glendale Water Reclamation Plant. 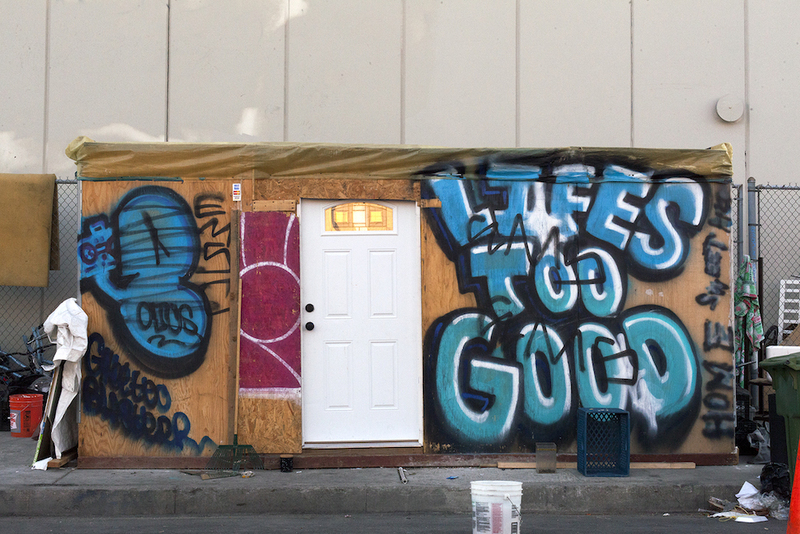 Ongoing work on Urban Infill Affordable Housing in South Central Los Angeles with Restore Neighborhoods LA is an important exploration of affordable, sustainable, community enhancing home ownership in neglected neighborhoods. Previous work included the Plaza Apartments, 106 supportive housing units for formerly homeless in South of Market in San Francisco. Featured in several Books and publications such as “A Blueprint for Greening Affordable Housing” by Global Green USA and was a finalist for the United Nation’s World Habitat Award, the Plaza has received over a dozen design and housing awards and has been included in the HUD Secretary’s Green Affordable Housing design advisor. Other projects in the San Francisco Bay Area include the 625 Townsend Street office building, the Ed Roberts Campus for Independent Living, and the Nueva School. His residential project “Casa de Carmen” in Baja California, designed with LMS Architects, has been widely published and was recently included in the exhibit “Green House: New Directions in Sustainable Architecture & Design” at the National Building Museum in Washington D.C. In Mexico City, his projects include the Televisa Mixed-use building and the Televisa Employee Cafeteria with TEN Arquitectos as well as the “C” Bar and Dance Club, a conversion of a historic 3,000 seat movie house utilizing 80% recycled materials salvaged from construction sites and contractor’s yards throughout the city. The Televisa Mixed-use building was awarded the first Mies van der Rohe Award for Latin American Architecture and was included in the traveling exhibit “At the end of the Century: 100 years of Architecture” curated by the Museum of Contemporary Art in Los Angeles. A graduate of the Universidad Iberoamericana in Mexico City, Mr. Sheinberg is an associate member of the AIA, a member of the Mexican Federation of Architects and a LEED accredited professional. Sean has served as a local and state government leader in successive community development roles in the cities of New York, San Francisco, Los Angeles, and in Sacramento for the State of California. At the Los Angeles Housing & Community Investment Department (HCIDLA), Sean is responsible for leading its housing production efforts and directing the operations of its Housing Development Bureau. Prior to joining HCIDLA, Sean was a Managing Director with Hunt Mortgage Group where he consulted on the acquisition, development, financing and execution of affordable housing development transactions, and originated new debt and equity executions throughout the western United States. He also most notably served as the Executive Director of the California Debt Allocation Committee (CDLAC) from 2009-2015, administering the $3.8 Billion private activity bond program for California. Sean holds both a bachelor’s and a master’s in regional planning from Cornell University. A nationally recognized expert in the field of family homelessness, Tull began working in the nonprofit sector in 1980, when she founded Para Los Ninos (For the Children), in response to an article in the L.A. Times about children living in Skid Row hotels. She served as the agency’s Executive Director through 1985 and then President through 1996. In 1983, Tull co-founded L.A. Family Housing – a nonprofit agency that develops and operates emergency shelters and permanent housing. Tull founded two additional nonprofit agencies in 1988 – A Community of Friends and Beyond Shelter – as an evolution of her earlier work in the field. A Community of Friends develops permanent, supportive housing for special needs populations and has been operated by others since 1990. With Beyond Shelter, Tanya introduced an innovation in the field at the time, “housing first for families,” which has since helped to transform both public policy and practice on a national scale (rapid re-housing). Under Tull’s leadership, Beyond Shelter became a laboratory for social change, promoting the “housing first” approach for families nationally and internationally for the next 25 years. In 1996, Tull served on the U.S. National Preparatory Committee for the United Nations Conference on Human Settlements, Habitat II, held in Istanbul, Turkey and for many years on Advisory Committees for the National Alliance to End Homelessness and the National Low Income Housing Coalition. In 2000, she helped to integrate “housing first” as the key approach to ending family homelessness into the “Ten Year Plan To End Homelessness” developed by the National Alliance to End Homelessness, a prototype later adapted by communities throughout the country. A graduate of Scripps College, Claremont, CA and UCLA Graduate School of Education, Tull received an Honorary Doctorate in Social Sciences in 1992 (Whittier College). She was an Assistant Professor for Research at the School of Social Work, Social Work Research Center, University of Southern California. She has served as a Senior Fellow at the UCLA Luskin School of Public Affairs since 2005 and has been a Senior Fellow at Ashoka since 2009. Honors on behalf of her efforts include the CORO Foundation Public Affairs Award (1983), the Gleitsman Foundation’s prestigious National Citizen Activist Award, Kennedy School of Government – Center for Public Leadership, Harvard (1996), and the MALDEF (Mexican American Legal Defense and Education Fund) Community Service Award (2002).